Thomas Weems Architect is always considering experienced architects and drafters to join our design practice in Johnson City, Tennessee. Our firm emphasizes creative design solutions and outstanding customer service for our clients in the commercial, civic, educational, and healthcare markets. Potential positions are detailed below. To apply, please e-mail your cover letter, resume, and portfolio samples to caryn@thomasweemsarchitect.com. The Architectural Drafter will help generate and develop innovative design solutions on multiple projects simultaneously in a fast-paced environment. The main focus of this role is to develop schematic design, design development, and construction documents for a variety of projects that range in scope and scale. 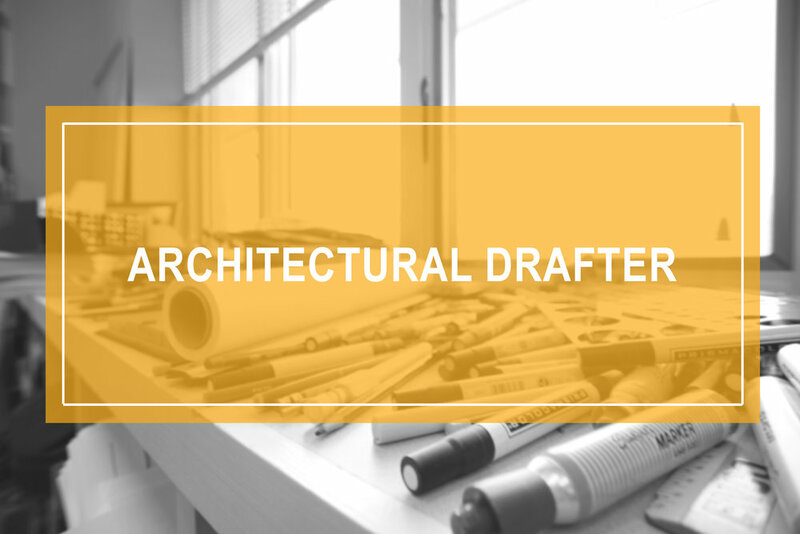 The drafter’s responsibilities will include project drafting, construction detailing, documenting existing conditions, and developing drawing/documentation standards. This candidate will be proficient in the most recent version of AutoCAD and able to coordinate a set of construction documents. Our office will be transitioning to Revit in the near future. Our ideal candidate will be able to help facilitate Revit implementation. Proficiency in Revit drafting, workflows, and standards is highly preferred. Architectural degree or CAD certificate/degree preferred. 2 - 4 years architectural Revit experience will be substituted for a degree. 3 - 5 years of professional experience. Highly proficient in AutoCAD 2018. Proficiency in Revit, Sketch Up, and Adobe Creative Suite is highly preferred. Thomas Weems Architect seeks experienced Intern Architect(s)/Architect(s) to join our design practice in Johnson City, Tennessee. Our firm emphasizes creative design solutions and outstanding customer service for our clients in the commercial, civic, educational, and healthcare markets. The Intern Architect/Architect will help generate and develop innovative design solutions on multiple projects simultaneously in a fast-paced environment. The main focus of this role is to assist the project team on all aspects of architectural design and documentation. Candidate must be proficient in the most recent version of AutoCAD and have experience from the programming stage through construction administration. 1+ years of professional architecture experience. Proficient in AutoCAD 2018, Sketch Up and Adobe Creative Suite. Proficiency in Revit highly preferred. Thomas Weems Architect seeks experienced Project Architect(s) to join our design practice in Johnson City, Tennessee. Our firm emphasizes creative design solutions and outstanding customer service for our clients in the commercial, civic, educational, and healthcare markets. The Project Architect will generate and develop innovative design solutions on multiple projects simultaneously in a fast-paced environment. Individual must have proven experience in planning, design, construction technology and documentation, and construction administration. Responsibilities will include assisting the Principal Architect in overseeing the design, detailing, and construction of variety of projects that range in scope and scale, managing project design team and consultants, and client interaction. This candidate will be proficient in the most recent version of AutoCAD and able to produce and coordinate a complete set of construction documents. Knowledge of building codes, standards and architectural principles/practices.